Killer T-lymphocyte. 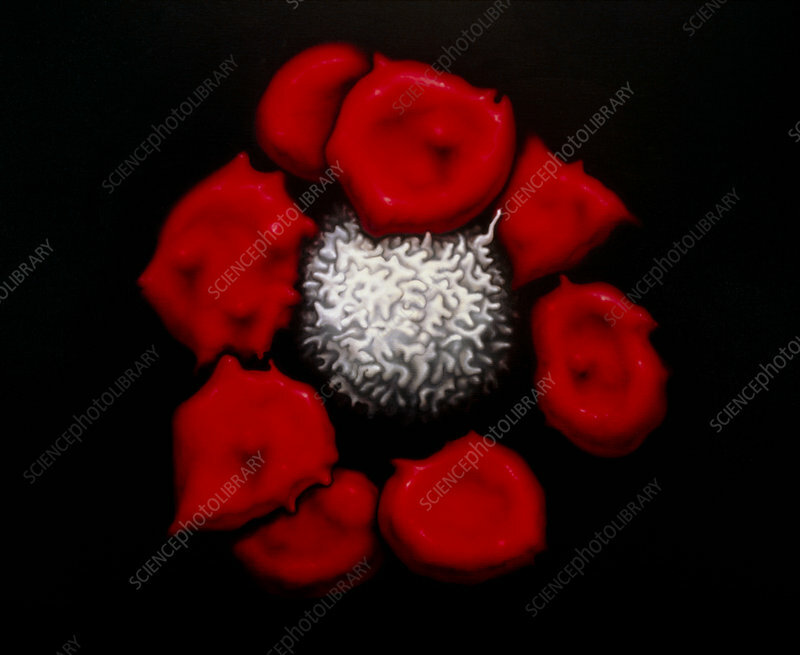 Illustration of a killer T- lymphocyte white blood cell (centre) stuck to a cluster of foreign red blood cells, which it is in the process of destroying. Killer T-lymphocytes play an important role in the body's immune system by attacking and destroying foreign cells, such as these red blood cells. The lymphocyte recognises receptors on the cell's surface and binds to it. It then injects lethal lymphokines, which kill the cell and disrupt its membrane. The same mechanism is responsible for tissue rejection after organ transplants.